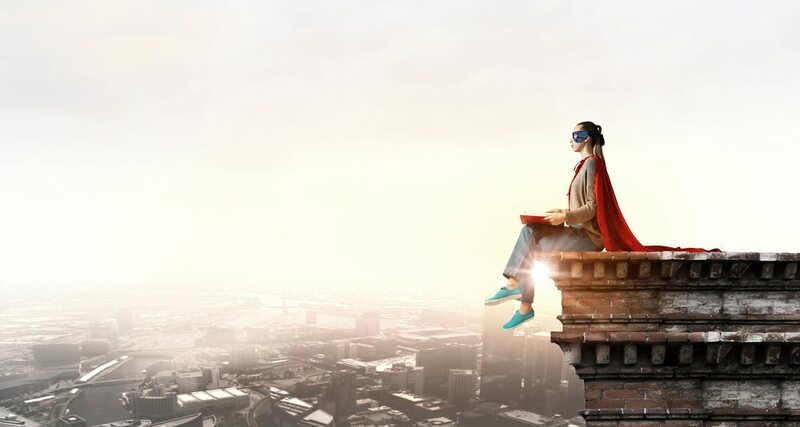 “If you were a superhero, what would your superpower be?” It’s a question you might have contemplated at least a handful of times throughout your life. Most people love the idea of having special powers and dream of flying through the sky or reading people’s minds. Capricorns tend to be practical, disciplined and confident. You’re patient and forgiving but you won’t allow people to take advantage of you. Your superpower would involve an incredible ability to fight. Karate, Jiu-Jitsu, Judo, wrestling, you can mastered them all and use your fighting prowess to tackle the baddies life throws at you. Aquarians tend to be independent freethinkers with a willingness to take on any challenge despite the odds. As a superhero, you’d have the ability to breathe underwater and you’d use your power to rescue people from drowning and uncover the world’s deepest darkest secrets. You’re passionate, caring, and sympathetic. You’re an activist at heart and you refuse to stand by and watch others suffer. If you were a superhero, you’d have an amazing ability to make all your wishes come true. Want to cure world hunger? You’d find a way to do just that. The road ahead wouldn’t be easy and your dreams certainly wouldn’t materialise with the click of your fingers, but you’d be blessed with a mental plan of action to achieve your goal. As an energetic Aries, you’re strong, fast paced and ready to hit the ground running no matter what challenge is thrown your way. Your superpower would be speed. You’d be able to run from Land’s End to John o’ Groats in a matter of seconds, rescuing anyone that needed your help along the way. Taureans are relaxed, slow paced individuals with a reluctance to get involved in drama. If you were born under Taurus, your superpower is the ability to pause time. Although you’re laid back, you have a natural ability to get a lot done in a short space of time. You’re able to run rings around your competitors, leaving them wondering how you achieve so much in the blink of an eye. You’re a great communicator, Gemini, and no matter where you are, you have no problems getting along with those around you. Your qualities suggest you’d make an excellent shape-shifter, changing form to suit your surroundings. You’d use your powers to spy on baddies and prevent crimes from destroying lives. You’re a true leader with a talent for encouraging those around you to be the best they can be. Equipped with bags of charisma, you inspire others to think and act a certain way. As a result, your superpower would be mind control. Such a power has certain ethical implications but thankfully, you’d use it for good rather than evil. Don’t let your power fall in the wrong hands – it could prove disastrous. The last thing we need is a supervillan using your abilities to control people’s minds and make them commit crimes. As a Leo, you’re an ambitious soul with the potential to achieve great things. When other people are filled with negativity and self doubt, you let your positive attitude guide you through to success. If you were a superhero, you’d have the ability to fly. You’d soar through the sky, gracefully gliding over your enemies and doubters. As a Virgo, you’re probably passionate about spending time alone. You’re certainly not reclusive, but you appreciate the importance in taking time out to focus on everything from meditation to your health. Your superhero power would be invisibility. Whenever you want to hide away and spend time alone, you’d put on your invisibility cloak and achieve ultimate peace and quiet. You have an excellent ability to detect danger and your intuition often enables you to identify lies from others. As a result, if you were a superhero, you’d probably be able to read people’s minds. Rather than using your powers to spy on ordinary people, you’d use it to stop criminals in their tracks and prevent problems arising. You’re a mysterious soul with a passion for spirituality and an interest in the afterlife. You live life to the full but you just can’t escape your inquisitive nature that longs to know what happens next. If you were a superhero, you’d use your abilities to communicate with the dead. You long to bring people back so they can complete any unfinished business. But you’re wise enough to know the problems this could cause. After all, death is a natural part of life and tampering with the afterlife can be messy. You’re a strong sign, Sagittarius. Whether you’re pushing your body to the limits in a bid to improve your fitness, overcoming relationship obstacles, or taking criticism on the chin, you have an incredible ability to tackle anything that comes your way. Your special power would be super strength, enabling you to lift anything in your path.